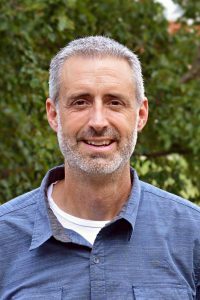 Kevin Bellew is the Associate Dean of Wholeness and Wellness at Asbury University. His responsibilities include administration of the Center for Counseling and Student Health Services, individual and group counseling for students and training/supervision of practicum/internship counselors. He received a B.S. in psychology from Saint Louis University and a M.S. in counseling psychology from the University of Kentucky. He has been a Licensed Professional Clinical Counselor since 2001 with experience in strength based, multi-systemic treatment. His professional experiences range from home-based family therapy to high school teacher to boarding school administrator to outpatient mental health counselor. His clinical areas of interest involve treatment of anxiety and depression, family relational issues, communication and faith development. When he is not in the office, Kevin is likely with his wife, Sarah, staying young as they raise their six children in Wilmore.